Tanzania is the sixth largest country in Africa, with a population of 51.8 million. According to the World Bank, Tanzania has a high potential for growth, yet its per capita income is among the world's lowest. Most of the workforce is engaged in agriculture, while unemployment is common, especially among women and youth. Founded in 1998, FINCA Tanzania recently became the first institution to be granted a micro-finance banking license, allowing it to mobilize savings. With 24 branches, it serves more than 230,000 people throughout the country, offering a diverse range of credit, savings and other services. Late last year, FINCA launched Halo Yako, in partnership with Halotel, a mobile network provider. The service allows customers to open a free account and keep savings on their mobile phone. Customers can set savings targets—like paying for their children’s education— and earn free mobile airtime as they achieve their goals. Tanzania has one of the most conducive environments in Africa for non-traditional banking, As a result, account penetration has increased recently among the general population. Despite this progress, however, nearly 80 percent of adults still lack access to basic banking services. FINCA Tanzania has succeeded in extending its reach to the most excluded populations, especially women and rural people. Three-quarters of FINCA’s clients live in rural areas, where poverty is widespread. FINCA is accelerating the deployment of mobile and agency banking as a means to further extend the reach of its services, while making them cheaper and more convenient for customers. FINCA Tanzania aims to serve small businesses of all types, with a special goal of helping entrepreneurs who are branching out into non-traditional sectors, like services and manufacturing. Like rural people everywhere, our borrowers in Tanzania struggle to attain basic living standards, including education and basic services. Three-fourths of household heads have less than a secondary education—well above the regional average—which greatly impairs their ability to earn a decent income. Over half of our borrowers live in homes with no running water or electricity. These burdens fall especially hard on children, who are exposed to disease and who can only study by the light of the sun. Despite their harsh living conditions, FINCA’s customers in Tanzania earn an average profit of $3,174 per year to sustain their families, the highest in the region. Our borrowers employ 2.41 people per enterprise, totaling over 113,000 people countrywide. Two-thirds of these employees are earning wages that are above the national poverty line. Almost 40 percent of the total employment in FINCA-funded enterprises is a direct result of FINCA’s loans, meaning that FINCA has helped create the equivalent of nearly 42,000 full-time jobs. Over half of FINCA's borrowers are women, the vast majority of whom are the main source of income in their families. 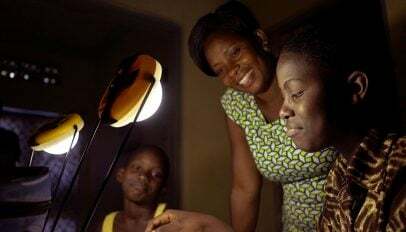 These women fare well in terms of owning their own businesses—better, in fact, than most other countries, where women are sometimes used as a source of credit for male-run businesses. 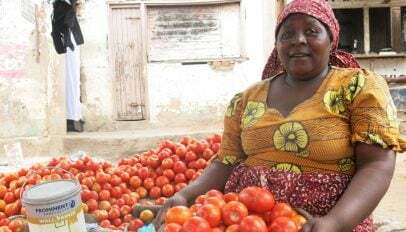 Women in Tanzania are also slightly ahead of men in terms of overall job creation, because they work in sectors like crop farming, which make more intensive use of labor. FINCA's customers in Tanzania are mostly concerned with growing their businesses and managing their finances. In fact, more of FINCA's customers in Tanzania have business-related goals than anywhere else in the network, followed by Pakistan. Tanzania is also the only country where paying debts and unexpected expenses outranks home improvement as the next priority. Fortunately, the majority of customers in all categories report that they are achieving these goals with FINCA's help.